Stephen Ward is among the most experienced attorneys in the field of American Indian/Native American law in the nation, and he applies his expertise in a wide variety of matters and for both tribal and other clients. Steve began representing Indian tribes in 1994, and since then he has acquired a thorough understanding of and expertise in the field. His matters have included major national Indian law litigation and appeals, the subjects of which have included sovereignty and jurisdictional disputes, environmental and energy matters, breach-of-trust claims, cultural properties law, and many others. Additionally, he regularly provides counsel in a variety of Indian country business projects, financings, major gaming and resort developments, and other matters. Steve’s clients are similarly diverse—from Indian tribes and tribal enterprises to national corporations and financial institutions. He founded, and continues to be involved in leading, the firm’s Indian law practice. During the course of his career, Steve has represented Indian tribes and tribal interests throughout the nation. He has handled litigation and other matters on many leading issues of the day, including, among others, in the areas of enforcement of trust and fiduciary obligations owed to tribes and individual Indian people, Indian country environmental matters, allottee rights, energy matters, the scope and application of the Native American Graves Protection and Repatriation Act, tribal sovereign immunity, tribal tort claims, Indian country taxation, and tribal state jurisdictional disputes. 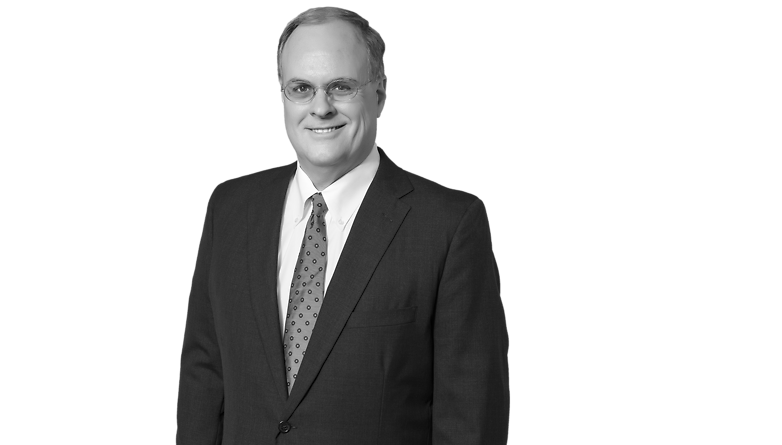 Steve has handled appeals before the United States Supreme Court and several of the United States Courts of Appeals. He also practices regularly before federal administrative tribunals with jurisdiction over Indian country matters. Steve’s practice also has a significant focus on business and economic development in Indian country, and on Indian country commercial transactions. He has had a key role in the development, financing, and operation of tribal enterprises, including gaming and resort enterprises. Steve also provides counsel to corporate and business clients who do business with Indian country. In this area, he has assisted with matters including the development of retail outlets and other businesses on Indian lands. Another aspect of Steve’s practice has been the area of management of tribal legal affairs. He has served as general counsel to two Indian nations. Steve has handed a number of matters of first-impression for tribes, including in the areas of sovereignty and sovereign immunity, conveyance and partition of Indian lands, environmental law, and intellectual property law. Represented an Indian tribe in obtaining an opinion from the National Indian Gaming Commission in November 2014 authorizing gaming on newly acquired lands pursuant to the “last recognized reservation” exception under 25 U.S.C. § 2719(a)(2)(B). Representing the Sac and Fox Nation of Oklahoma and the surviving sons of Jim Thorpe in obtaining a determination in a federal court requiring a repatriation proceeding concerning his remains pursuant to the Native American Graves Protection and Repatriation Act, a ruling subsequently reversed by the Third Circuit and still on appeal, see Thorpe et al. v. Borough of Jim Thorpe, cv?10?1317, 2013 WL 1703572 (M.D. Pa. Apr. 19, 2013), rev’d, 770 F.3d 255 (3rd Cir. 2014). Representing the Quapaw Tribe of Oklahoma and individual members of the tribe in breach-of-trust litigation before the U.S. Court of Federal Claims brought pursuant to a special congressional reference adopted by the United States House of Representatives in December 2013, see Bear et al. v. United States, 13?cg?51?TCW (Fed. Cl.) (pending). Represented an Indian tribe in obtaining a partition in January 2013 of undivided fee and restricted Indian land—one of the few such actions approved in modern times, see In re Estate of Armstrong, No. P-000073620IP (Interior Bd. Indian Apps. January 23, 2013). Represented a tribal enterprise in connection with a $41.5 million senior secured credit facility in June 2012. Representing the Quapaw Tribe of Oklahoma in major breach-of-trust litigation before the U.S. Court of Federal Claims initiated in January 2012, see Quapaw Tribe of Oklahoma v. United States, 12-cv-592-TCW (Fed. Cl.) (pending). Representing more than 1,000 members of the Quapaw Tribe of Oklahoma in breach-of-trust litigation before the U.S. Court of Federal Claims filed in January 2012, see Goodeagle et al. v. United States, 12-cv-431-TCW (Fed. Cl.) (pending). Represented a tribal enterprise in connection with the issuance of $295 million in senior secured notes in July 2011. Represented a tribal enterprise in obtaining a federal court decision holding that, as is also the case with respect to states, federal patent laws do not provide for waivers of immunity for claims against Indian tribes, see Specialty House of Creation, Inc. v. Quapaw Tribe of Oklahoma, No. 10?cv?371?GKF-TLW, 2011 WL 308903 (N.D. Okla. Jan. 27, 2011). Representing Indian allottees in obtaining a federal court ruling in December 2010 permitting them to take direct action against a third party when the Secretary of the Interior refused to take action to collect proceeds from the sale of their resources, see Gilmore et al. v. Salazar et al., 748 F. Supp.2d 1299 (N.D. Okla. 2010), aff’d in part rev’d in part, No. 11-5025, 2012 WL 473530 (10th Cir. Feb. 2, 2012) (pending). Represented the Quapaw Tribe of Oklahoma in litigation establishing an Indian tribe’s right to pursue claims as a sovereign (parens patriae) for natural resource damages for the lands within its Indian country jurisdiction, see Quapaw Tribe of Oklahoma et al. v. Blue Tee Corp. et al., 653 F. Supp. 2d 1166 (N.D. Okla. 2009). Represented a tribal enterprise in obtaining a $25 million equipment financing facility in November 2007. Represented a tribal enterprise in connection with the issuance of $197 million in senior notes and $52 million in senior subordinated notes in October 2007. Represented federal royalty payor in litigation successfully establishing in ruling of first impression that federal statutes of limitation are applicable to collection of federal oil and gas royalties, see OXY USA, Inc., et al. v. Babbitt et al., 230 F.3d 1178 (10th Cir. 2001). Represented Indian tribes and tribal enterprises in numerous actions relating to enforcing the exclusive jurisdiction of tribal courts over tort claims arising at Indian gaming enterprises in Oklahoma. Represented tribes and tribal enterprises in numerous actions relating to the scope of tribal sovereign immunity and the scope of waivers given pursuant to such immunity, see, e.g., Native American Distributing v. Seneca-Cayuga Tobacco Co., 491 F. Supp. 2d 1056 (N.D. Okla. 2007) (tribal enterprises); Berrey et al. v. Asarco, Inc., et al., 439 F.3d 636 (10th Cir. 2006) (claims in recoupment).